Did you know that there is such a thing as ‘healthy cookies’? These truly healthy cookies are not made with artificial sweeteners, so beware! 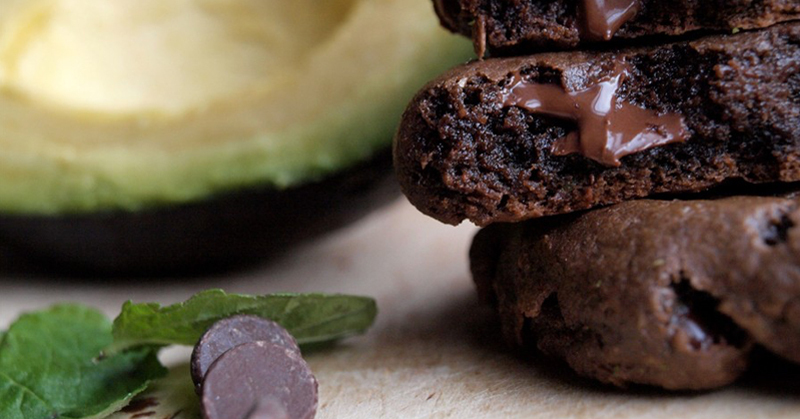 In these chocolate avocado cookies, the avocado replaces the butter; I know, crazy right? But, seriously, these cookies are organic and surprisingly good for you! Avocados are rich and soft, which makes them a great, nutritious substitute for unhealthy butter. You can’t taste the avocado when its in the cookie, so don’t freak out. Avocados are a great source of healthy fats, vitamins and minerals. Avocados are commonly used to lower cholesterol and also to treat osteoarthritis. They have even been proven to contain cancer-fighting properties. So adding avocados to your cookies is probably one of the tastiest ways to get all of these health benefits. The taste mixes in so well with the other ingredients that you can’t even tell the difference. These cookies are also sweetened with honey instead of refined, white sugar and use no white flour! These cookies are chewy, chocolaty, and just all around perfect. 5. Fill a pastry bag and pipe batter onto cookie sheet, or drop the batter by heaping tablespoons. 7. Let cool for 5 minutes.